A worldwide network of millions of people gathered around him. Someone is using the Internet to acquire new knowledge, Who's watching the latest movies or music, others play online games. But all people have in common is, they all have individual ip address, by which they can be found and calculate. Some users do not agree with the provisions of, it is for them were created by such programs, which allow you to change the ip address to another. The network can be found both free of representatives, and toll. In this article, let's talk about, how to change the ip address of your computer. It is important to understand, that ip address is something, what separates you from other users on the Internet, a special key, which makes you totally unique. There is such a program, like Mask Surf. The name already speaks for itself, but it is necessary to explain, that it is necessary to change the ip. The first thing you need to download the software on the network and unzip on your computer. Next, run a file called msurfstd_setup. Buy a license on the official website of the manufacturer. It costs about 10 dollars. Hack program with the help of special tools, picks up the keys. Usually the Internet is distributed all in one archive. Also you can do not activate the license, then you can use the program only a certain period of time. Typically, it ranges from 5 to 30 days. Doing all the operations, run the program using a shortcut. Note the icon that says “IP”, if it will burn red, it means, Now that you use your real ip. When the green icon, you are working in anonymous mode. Besides, you can program russifitsirovat, for this you will need to download a special file online. Be careful not to, store on your computer malicious code. It is important to know, you can constantly switch between anonymous and normal screen, this is done in one click, and does not take much time. Proxy server – specifically software, you need to change the real ip address. It acts as an intermediary between the client and the site itself. Each person uses an anonymous mode for their own purposes. Someone does not want to, to be seen at the specific sites, others do it for the sake of safety. 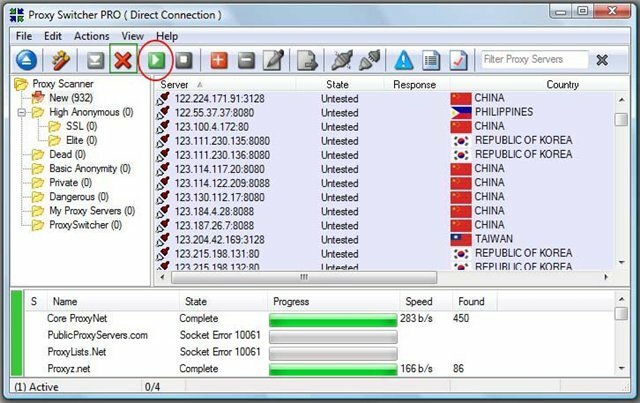 It is important to know, the proxy server will hide your ip only browser, i.e., if you go to the server through a browser, the person can find out your real ip.